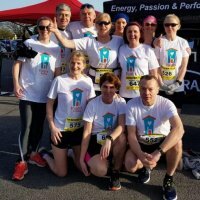 I'm doing Ros Run - Half Marathon to fundraise for Hugh's House. Your support is very much appreciated. I'm taking part in Ros Run - Half Marathon on Saturday 23rd of March 2019 . I've chosen to fundraise for Hugh's House . All funds raised here will go directly to this great cause. @IseultMangan We just can't resist! Well done all, a very worthy cause to my own heart. Thanks so much for your very generous donation. Thank you for your time and kindness. It is very much appreciated.